This hotel has always maintained a reputation for being a unique property for the enjoyment of the rich and famous locals and visitors to the City of Beverly Hills. It has gone through some major changes over the years, and is now the ultimate in modern comfort where the menus reflect a magical merging of Italian, Asian and California cuisine. This month the L�Ermitage Hotel & Spa was given Five Stars by Forbes Magazine for the 12th consecutive year. �It is a good feeling to have our entire team�s efforts recognized by travel experts. The staff�s effort, experience and dedication is the essence of a satisfying guest experience,� said General Manager Sal Abaunza. 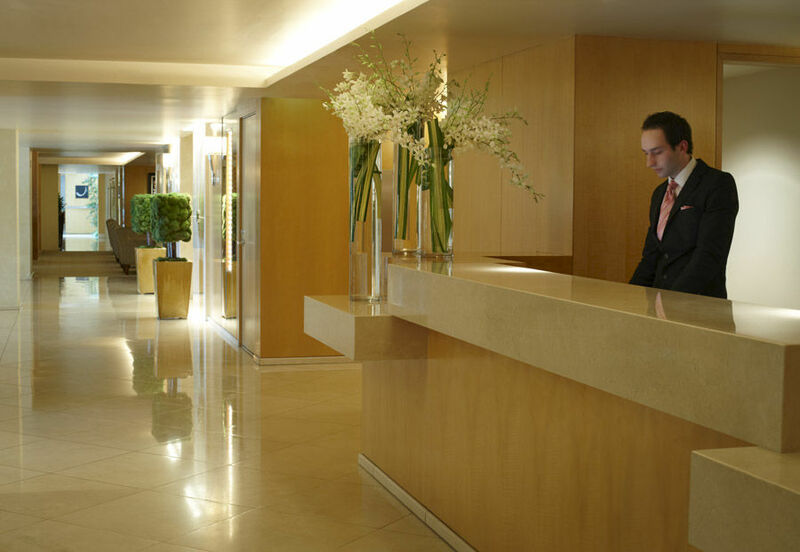 The entrance and lobby of the hotel offer sleek modern lines and a quiet efficiency that exudes confidence. The Livello Restaurant, which was located in the rotunda, is now in the bar area where guests have a view of the entire lounge and outside garden waterfall. A complete revamp of this room, which offers casual comfort in design, will be completed before end of April. This is the domain of Chef des Cuisine Benjamin Dayag, a skilled chef who studied under Nobu Matsuhisa at Nobu New York and Social House in Las Vegas. 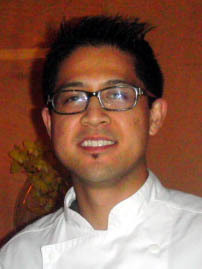 Most of the staff in his kitchen came from Nobu, and Chef Ben (as he is called) says he is delighted to be working with the talented culinary team at L�Ermitage. Breakfast, lunch and dinner selections are served in Livello, and hotel guest may enjoy food service on the rooftop pool or in their rooms. The beautiful Lobby Bar & Restaurant are also favorite haunts for guests and Beverly Hills business people alike. Breakfast includes eggs Benedict, San Danielle prosciutto and melon, and a bevy of usual breakfast favorites. Dinner items offered by Chef Dayag include everything from delicious pasta dishes, unique meat and seafood presentations to �Nigiri Sushi� all representing a weaving of Italian, Asian and California flavors. �We use only the freshest produce and food items in our kitchen� said Chef Dayag. The plates that arrive at the table are exquisite in design and presentation, and the picture perfect entrees and desserts emanate with the gastronimique simmering in Livello�s kitchen. The scallop sashimi is prepared with sriracha chili, yuzu juice and cilantro flowers and is not only divine in taste, but is presented beautifully. The fish dishes on the menu vary in preparation style and are all outstanding. 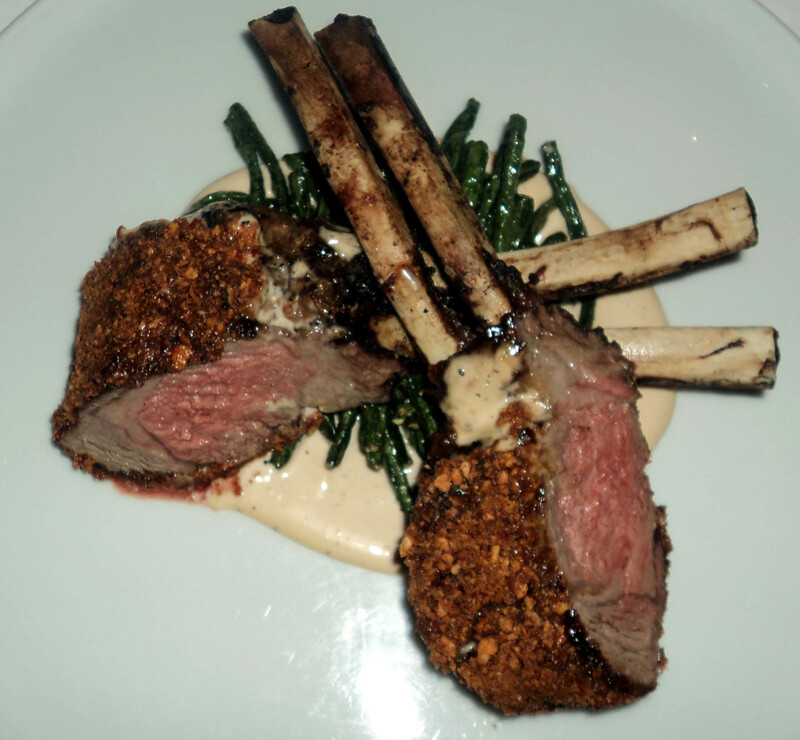 An olive oil poached seasonal white fish with rice crust, baby leeks, arima sansho butter sauce is outstanding, and the Elysian Farms lamb chops with 5 spice garlic crust and long beans offer the best lamb I�ve ever tasted, with a crust that is extraordinary. 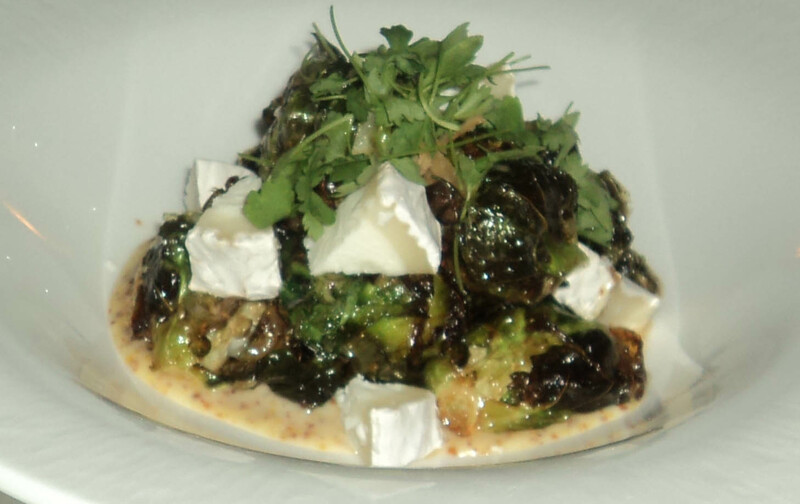 A brussel sprout side dish with Redwood Hill Farm goat cheese and Mitsuba honey mustard sauce is perfect with either entree. There is also an 8 oz filet mignon with mushroom fricassee, poached egg and ricotta salata that is another fine choice. For pasta lovers there are a few I would recommend including stewed squid and spaghetti with pomodoro, broccoli cream, and the oxtail tortelloni with butternut squash and veal sherry reduction. Appetizers at Lovello range in price from fifteen to twenty-nine dollars, and entrees range in price from twenty-six to forty-nine dollars. The side dishes include favorites like Japanese cucumber salad, edamame with porchini salt, asparagus with light garlic soy sauce, truffle fries with parmesan and shishito peppers with mustard miso ranging in price from five to seven dollars, and the desserts offered include a cr�me brulet that is outstanding, as well additional sweet endings. A wonderful wine and cocktail list is available, with fine selections to pair with lunch, dinner or brunch. The lounge offers two delicious specialty mocktails for non-alcoholic drinkers, and wine can be purchased by the bottle or by the glass. The L'Ermitage Hotel is walking distance to all points of interest in Beverly Hills, including Rodeo Drive, City Hall, Paley Museum and fine shopping and dining destinations nearby. Bon Appetit!